5 Bedroom Detached House For Sale in Milton Keynes for £625,000. A sizeable five bedroom detached family home of approximately 2000sq ft., available for sale in the popular location of Shenley Brook End. 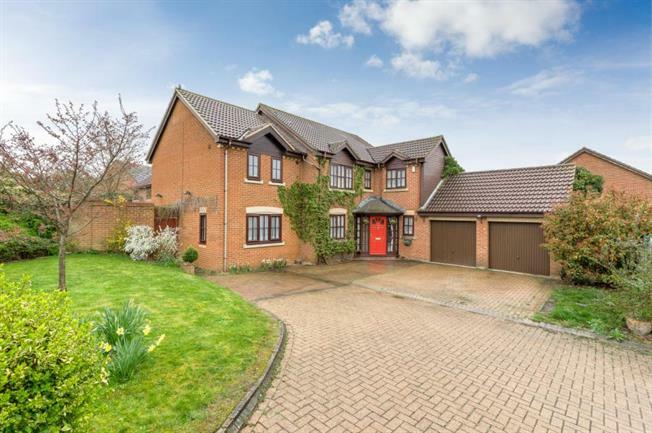 Situated on a larger than average, wrap-around plot; this imposing property also benefits from a double garage with off-road parking and catchment to some of Milton Keynes' most highly regarded schools. The accommodation in brief comprises: Entrance hall, downstairs WC, lounge, family room, study, open plan kitchen/dining room/conservatory, utility room, first floor landing, five bedrooms, three with en-suite and a family bathroom. An internal viewing is highly recommended to fully appreciate the size and scope of this property.